Energy efficient LED lighting is built-in: illuminating the work areas, and the bathroom vanity. LED bulbs are 8 to 10x more energy efficient than conventional incandescent bulbs, and 2x more efficient than compact fluorescent (CFL) bulbs. Compared to incandescent bulbs, LEDs last about 40x longer, and emit about 25x less heat. Compared to CFLs, they last 6-7x as long, emit about 8x less heat, and do not contain mercury (or any other toxic substance). 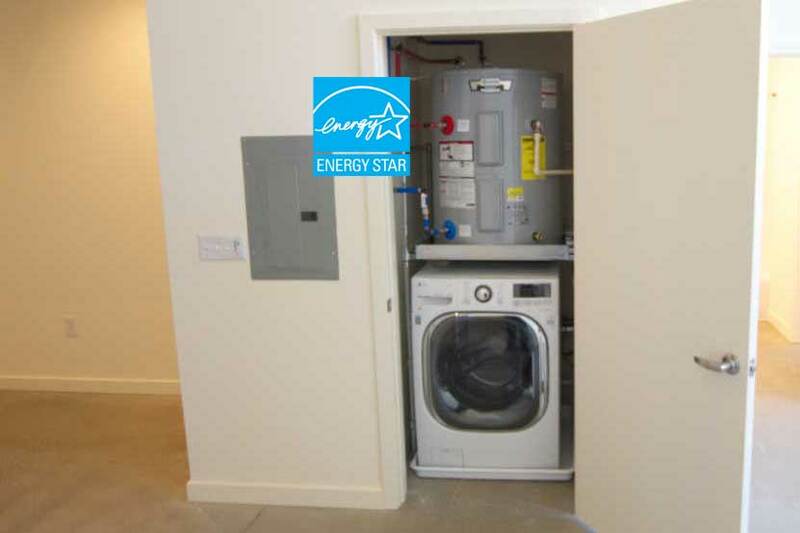 Electric appliances are selected for energy efficiency; plumbing fixtures for low water consumption.